Sometimes, a career change has the feel of deferred destiny. Now, Munier has responsibility for the submersible Alvin, as well as the rest of the deep-submergence vehicles, ships, and ocean observing systems at Woods Hole Oceanographic Institution (WHOI). On March 1, 2010, he became WHOI’s vice president for Marine Facilities and Operations. He succeeds Susan Humphris, who had served as acting vice president since November 2008. Munier came to WHOI from Tyco Telecommunications, a company specializing in large-scale undersea technology. During a 30-year career in ocean engineering, he has worked on cable systems for telecommunications, oil and gas exploration, ocean observing, and military applications; ocean energy; and oceanographic research. Most recently, as managing director for Tyco, he developed transoceanic fiber-optic systems, the basic infrastructure for the global Internet and voice communications. The first weeks of his new job demonstrated some of the challenges. “The way I look at it, one of my main jobs is to be a problem solver and a planner,” Munier said. In the latter category, he will help formulate long-term strategies for ship replacement and also be involved in the ongoing operations of the Ocean Observatories Initiative, a major national effort to establish long-term networks of sensors to provide real-time data on ocean conditions. Munier grew up in the suburbs of New York City but spent summers at his grandparents’ home on Peconic Bay in Mattituck, Long Island. At that age, he learned to scuba dive—a sport that has been a commitment and serious hobby ever since. He has been diving all over the world for both work and pleasure and is frequently joined by his wife, Jan, whom he met at Mattituck and who has the same love for the water. “I am an avid outdoor person,” he said. “My most transportable activity is running, but I like to boat and kayak, and I am looking forward to kayaking around the Cape.” The Muniers have two grown sons, Robert and Steve, and a golden retriever, Ursa, named for the mascot bear at Stratton, Vt., where they like to ski. 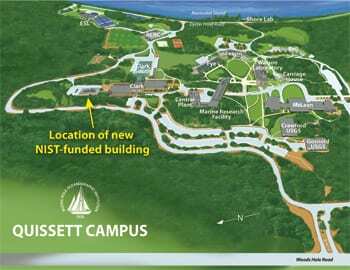 Woods Hole Oceanographic Institution (WHOI) will build a new laboratory on its Quissett campus to provide space for major initiatives to create and maintain long-term ocean observatories. In January 2010, WHOI was awarded $8.1 million from the U.S. Commerce Department’s National Institute of Standards and Technology (NIST) to construct a 20,000-square-foot Laboratory for Ocean Sensors and Observing Systems. It will be built north of the Clark Laboratory with a corridor connecting the two buildings. The new lab’s largest group of tenants will be scientists and engineers working on the newly launched Ocean Observatories Initiative (OOI), a $300 million effort funded by the National Science Foundation (NSF) to build, implement, and operate coordinated systems of moored buoys, undersea cabled networks, and autonomous underwater vehicles. All these will be equipped with sensors to measure ocean conditions and processes and provide a continuous flow of data in near-real time to scientists and marine resource managers on shore. The new building will house offices, labs, and a high bay to develop instruments, sensors, moorings, buoys, and other observatory platforms. It will also consolidate now-scattered offices and operations of the WHOI-operated component of the U.S. National Ocean Bottom Seisomograph Instrument Pool (OBSIP), an NSF-funded facility that maintains and operates seafloor instruments for use by the scientific community. The building will also provide operational and laboratory spaces for the WHOI-operated Martha’s Vineyard Coastal Observatory (MVCO), an underwater research and test site that is cabled to an onshore lab where scientists can plug in and operate ocean-observing instruments. The proposal, headed by WHOI Director of Research Larry Madin, was one of only 12 funded by NIST from a pool of 167 competing for grants. Funding came from the American Recovery and Reinvestment Act grants for the construction of new scientific research facilities. 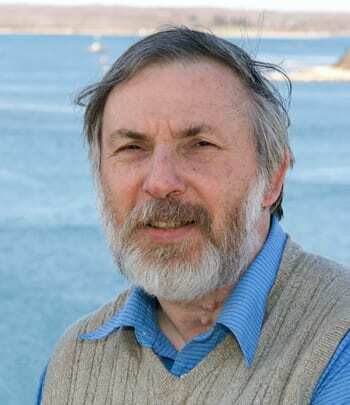 Bruce A. Warren, one of the world’s pre-eminent researchers of deep ocean currents and scientist emeritus at the Woods Hole Oceanographic Institution (WHOI), is the 2010 winner of the prestigious Sverdrup Gold Medal, awarded by the American Meteorological Society. Warren was cited “for advancing our understanding of the general circulation of the ocean through observations and dynamical interpretation.” Warren and his co-workers over the years are considered primarily responsible for discovering the existence of deep, swift currents near the boundaries of the Indian and Pacific Oceans. Warren received the medal—named for oceanography pioneer Harald Ulrik Sverdrup—at the Society’s annual meeting in Atlanta in January. Speer likens Warren to Sverdrup himself, who is recognized as the founder of the modern school of oceanography and “whose discoveries will never go out of date,” Speer said. Past Sverdrup Medal winners from WHOI include physical oceanographers Joseph Pedlosky, James Price, and Robert Weller. James Lynch was honored as the 2009 recipient of the Walter Munk Award for distinguished research in oceanography related to sound and the sea. It is presented jointly by the United States Navy and The Oceanography Society. Lynch was cited for improving the understanding of oceanographic processes that affect acoustic signals in shallow water; for the development of acoustical methods for measuring these processes; and for leadership of and service to the U.S. ocean acoustics community. Lynch led the largest oceanographic field experiment in the history of Woods Hole Oceanographic Institution—a project that employed six research vessels, more than 50 scientists from 12 institutions, 62 moorings, 350 assorted oceanographic sensors, and nearly 100 tons of equipment, as well as an airplane, space satellites, and robotic undersea gliders. Over seven weeks in the summer of 2006, all of that inventory was focused on a 40-by-50-square-kilometer patch of ocean about 100 miles east of Atlantic City, N.J. The goal was to assemble a three-dimensional, highly detailed picture of how sound waves travel through the complex, ever-changing medium of coastal waters. 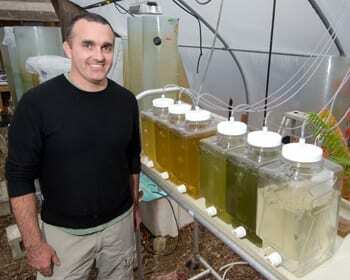 Lynch, a senior scientist in the WHOI Applied Ocean Physics and Engineering Department, was recognized for his achievements during ceremonies in October 2009 at the Acoustical Society of America meeting in San Antonio, Texas. He was also honored during activities at the 2010 Ocean Sciences Meeting in Portland, Ore.
John Farrington and David Gallo were named fellows of the American Association for the Advancement of Science (AAAS). 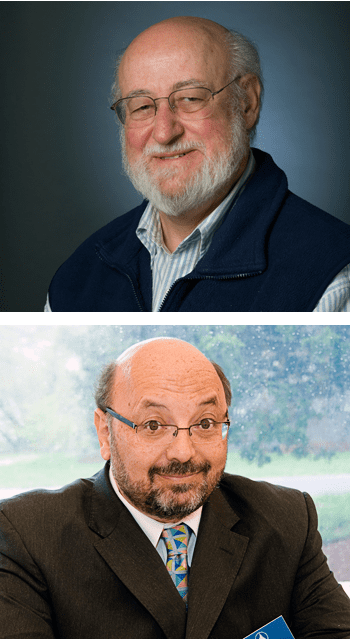 They were among 531 members elected in 2010 by AAAS members to honor their scientifically or socially distinguished efforts to advance science or its applications. 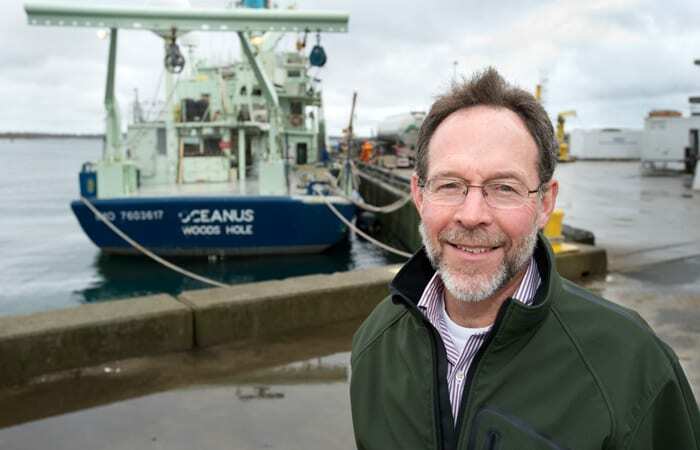 Farrington, a scientist emeritus at WHOI, was elected for his contributions to the field of biogeochemistry and organic geochemistry of the oceans and for leadership in graduate education in oceanography. As a scientist in the WHOI Marine Chemistry and Geochemistry Department and director of the WHOI Coastal Research Center, he took particular interest in compounds of environmental concern in coastal and oceanic environments. 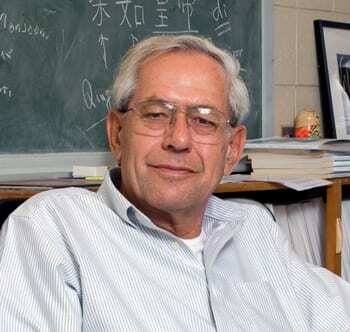 He also served as dean of graduate studies and vice president for academic programs at WHOI form more than 15 years. 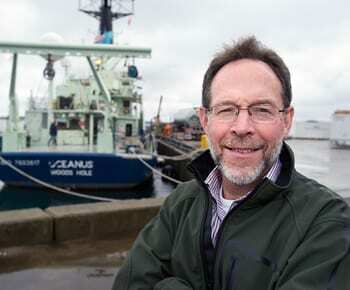 Gallo, director of special projects at WHOI, was elected for his communications to teachers, students, and the public about scientific exploration and discovery, and for contributions to ocean exploration. He has lectured extensively both nationally and internationally, to audiences ranging from elementary school children to chief executive officers and has participated in numerous television and radio broadcasts. 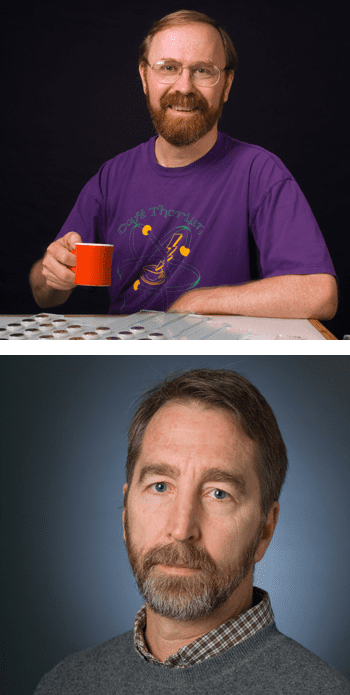 Ken Buesseler and Steve Lentzwere elected Fellows of the American Geophysical Union in 2009, a special tribute for those who have made exceptional scientific contributions and attained acknowledged eminence in the Earth and space sciences. The designation is conferred upon not more than 0.1 percent of the nearly 60,000 AGU members in a given year. Buesseler, a senior scientist in the WHOI Marine Chemistry and Geochemistry Department, has explored how organic particles sink and are transformed in the ocean’s dimly understood twilight zone, where sunlight fades to blackness—processes that have great impacts on the marine food web, Earth’s carbon cycle, and the planet’s climate. He has also led efforts to understand the potential benefits and impacts of ocean iron fertilization, a geoengineering strategy to mitigate climate change. Lentz, a senior scientist in the WHOI Physical Oceanography Department, has focused his research on coastal oceanography, including wind-driven circulation, surface and bottom boundary layer dynamics, river plumes, surfzone dynamics, tides, and coastal meteorology. Chris Reddy, associate scientist in the WHOI Marine Chemistry and Geochemistry Department, was invited to participate in the National Academy of Sciences’s Kavli Frontiers of Science symposium, the academy’s premiere activity for distinguished young scientists. The symposium, held in November 2009, in Irvine, Calif., brought together several dozen scientists from a broad range of disciplines to discuss exciting advances and opportunities in their fields. It enables emerging scientific leaders to become acquainted with their counterparts across traditional disciplines and to stimulate long-term relationships with their peers. Reddy is a marine chemist who studies oil spills, natural oil seeps on the seafloor, environmental pollutants, and biofuels made from marine algae.